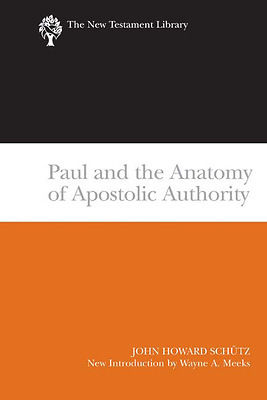 John Howard Schütz’s milestone analysis of Paul’s authority shaped a generation of scholars in how to think about Paul. First appearing in 1975, this volume has long been unavailable, but it stands as a significant voice that scholarship today needs to hear. John Howard Schütz taught New Testament at University of North Carolina, Charlotte. Wayne A. Meeks is Woolsey Professor Emeritus of Religious Studies at Yale University.